Molecular evolution - Where did all of these proteins come from? The work we do is focused on understanding the protein interaction networks that regulate stem cell divisions. The Drosophila neuroblast undergoes repeated asymmetric divisions to populate the fly central nervous system and is our primary model system. Following neuroblast division, one daughter cell retains the neuroblast fate while the other goes on to become neurons or glia. The foundation of this amazing process is the segregation of different fate determinant proteins into the two daughter cells during mitosis. 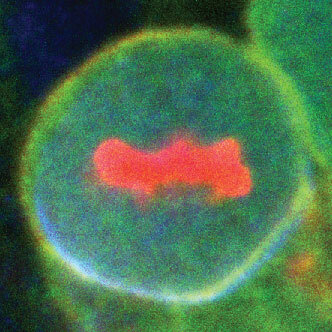 Our work attempts to uncover the molecular basis of this stem cell division through the study of cell polarity and mitotic spindle orientation. The first step in fate determinant segregation is their polarization, in which the proteins localize to opposite regions of the cell membrane. How does the cell become organized in this way? We have studied the Par complex, a set of three proteins that polarizes many different cell types, including neuroblasts. A kinase, atypical Protein Kinase C, is a key component of the Par complex, as attachment of a phosphate to downstream proteins polarizes them. We are trying to understand how cells control where the Par complex is localized, and how substrate phosphorylation leads to their polarization. Loss of polarity is a hallmark of cancer, and we are also studying the relationship between polarity and tumorigenesis. Fate determinant polarization alone is not enough for the stem cell to function properly. The mitotic spindle must also align along the polarity axis so that the cleavage furrow will bisect the the two membrane domains containing different fate determinants. How is the position of the spindle specified? We are studying proteins that link the cell cortex with microtubule motors that generate forces on the spindle's astral microtubules. We have also recently begun working on questions in molecular evolution. One of the spindle orienting proteins we've identified is a protein interaction domain that resembles the guanylate kinase (GK) enzyme, which catalyzes the formation of GDP from GMP and ATP. The GK domain version of the protein originated via a duplication of the enzyme sometime near the unicellular to multicellular transition that gave rise to animals (approximately 600 million years ago). How did a nucleotide kinase become a protein interaction domain? In collaboration with the Thornton and Harms labs, we have "resurrected" the ancient ancestors of these proteins so that they can be studied in the lab. This has allowed us to directly answer questions about this amazing functional transition. 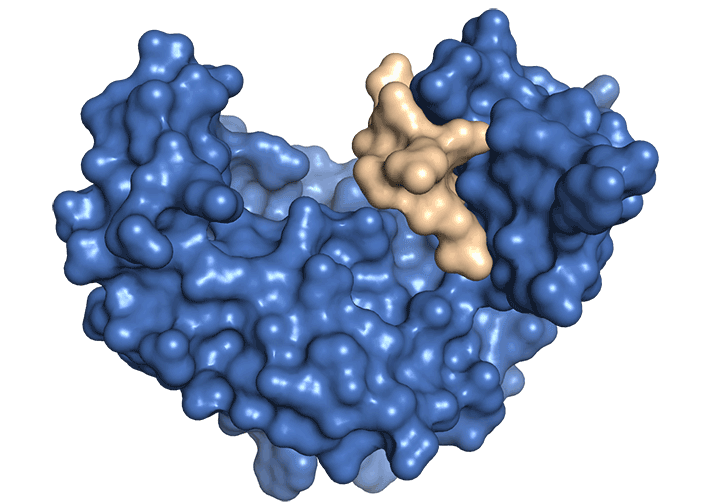 As the GK domain is a special type of protein interaction domain - a phosphoprotein recognition module - we are now studying how regulation evolved in this system. September 1, 2018 - Postdoctoral fellow Bryce LaFoya joins the lab - welcome Bryce! June 15, 2017 - Graduate student Krystal Oon joins the group - welcome Krystal! March 2, 2017 - Matt Bailey successfully defends his PhD thesis - congratulations Matt! January 7, 2016 - Our paper on the evolution of the GK protein interaction domain is published in eLife. Coverage in the Washington Post, Discover Magazine, the New York Times. Want a standard list? Try PubMed or Google Scholar. The lab has openings for a technician and a postdoc. Please contact Ken directly to apply.